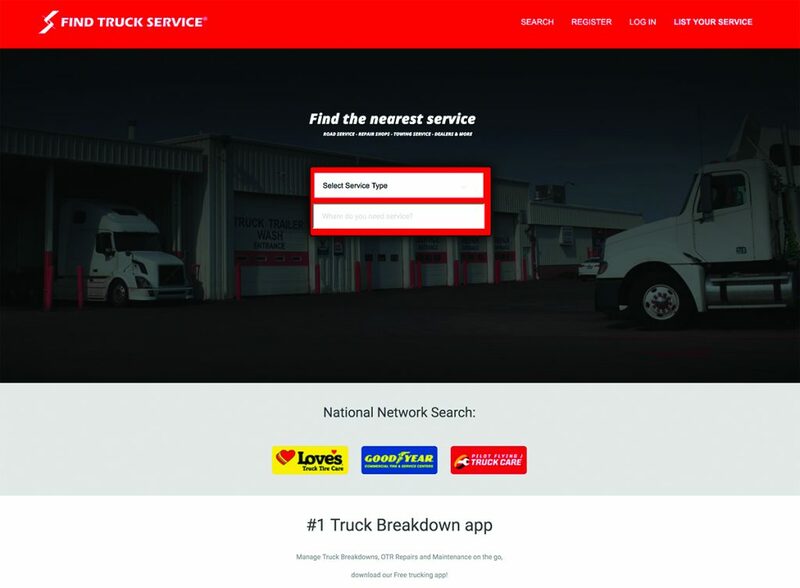 FindTruckService.com is the leading and most accessible truck breakdown and heavy duty service locating website in the commercial transportation industry. We help more than 1 million trucking companies, truck drivers, fleets, motor clubs and insurance companies find the nearest service vendors when they need services nationwide. FindTruckService.com is the industry fastest and easiest heavy duty service search for breakdown services, towing and recovery, mobile truck, trailer and tire repairs, full service repair shops and everything in between. Join our vendor network today, visit www.FindTruckService.com to list your business.